NSF Director France Córdova delivers keynote remarks at NSF Day New Mexico. Nora Mitchel, a post-doctoral fellow in UNM Biology, was interested in hearing about the proposal process at NSF Day. Faculty from NM research institutions give participants advice on how to tackle their NSF proposals. More than 250 faculty, post-doctoral researchers, grant writers and administrators from across the state and region attended this event to learn about proposal writing and submission, the NSF’s merit review process and programs that fall within NSF's scientific, engineering and education directorates. 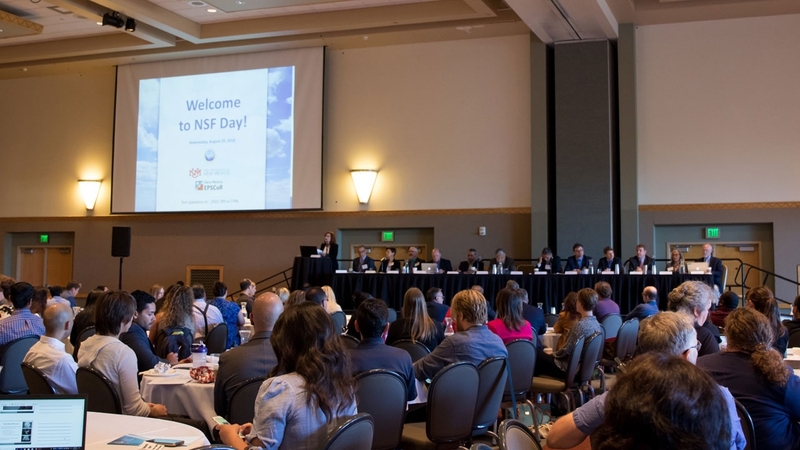 “NSF Day is always a huge success as the event enables NSF program directors from all directorates to advise researchers in best proposal practices and new opportunities for supporting their research ideas,” said William Michener, director of NM EPSCoR. UNM President Garnett Stokes and staff representatives of the New Mexico Congressional delegation welcomed participants to NSF Day New Mexico, emphasizing the importance of research to the well-being of New Mexico and the nation. 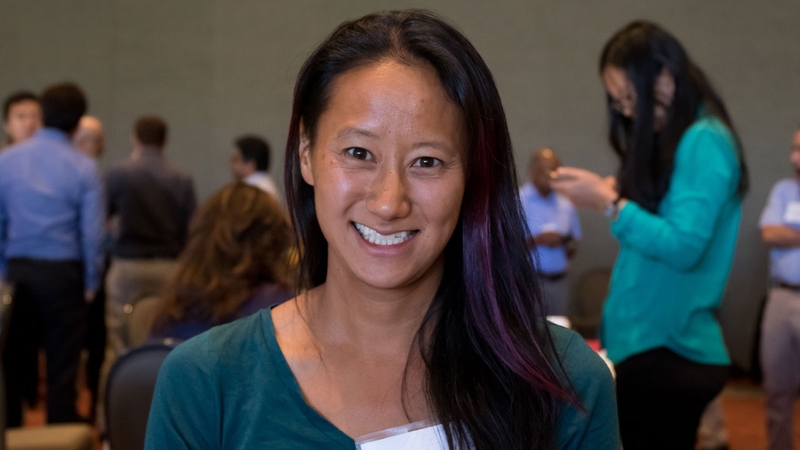 NSF program directors presented the elements of a proposal submission, strategies to approach the writing process and things to consider when proposals do not get funded. 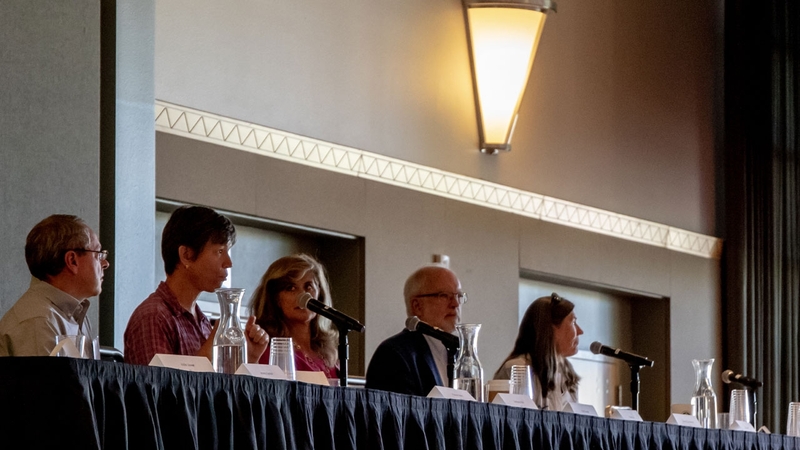 A panel of faculty from New Mexico research institutions offered tips and strategies based on their experience on how to be successful in securing NSF funding. 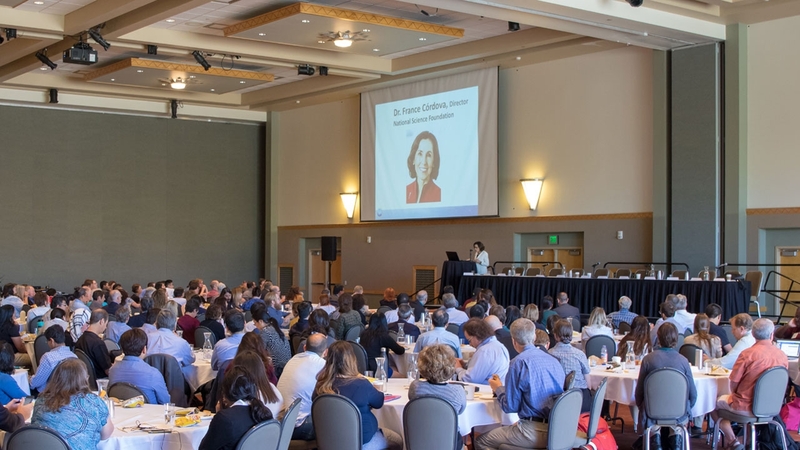 In an inspiring lunchtime keynote address, NSF Director France Córdova described the challenges and opportunities she encountered on her journey to becoming an astrophysicist and discussed new NSF initiatives, including the NSF 2026 Idea Machine. Access NSF Day NM presentations and materials.